I love it when I read something about an artist that gives me a new perspective on their music. 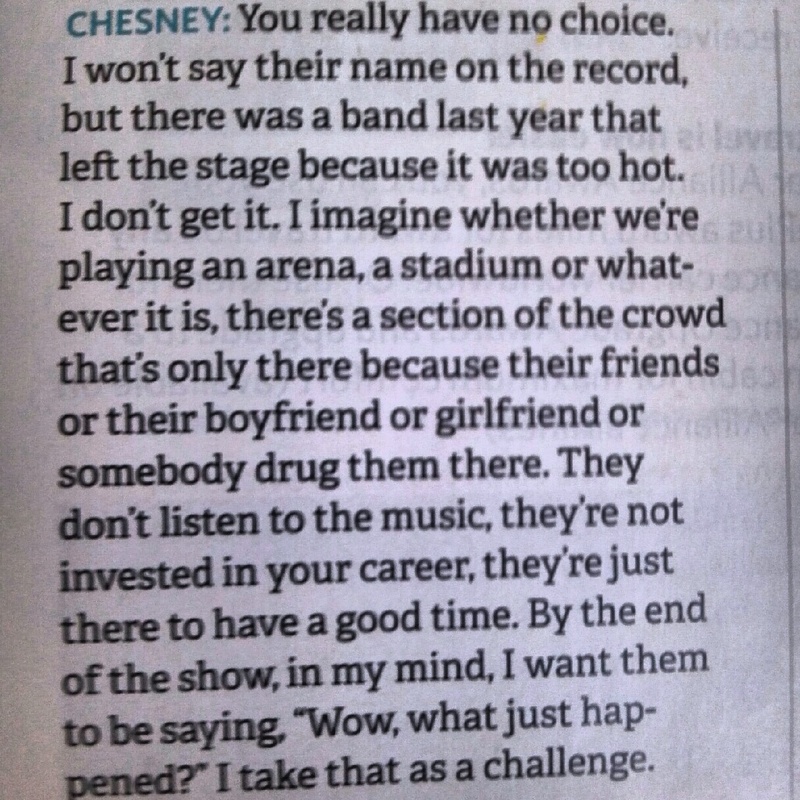 And it’s even better when what I read also makes me want to go see them live. 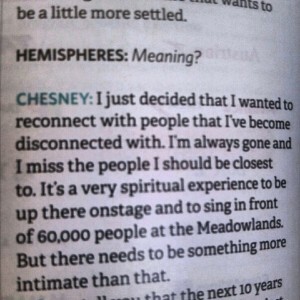 I had one of these moments on a recent plane trip to Austin when I was thumbing through United’s Hemisphere inflight magazine that included an interview country music star Kenny Chesney. 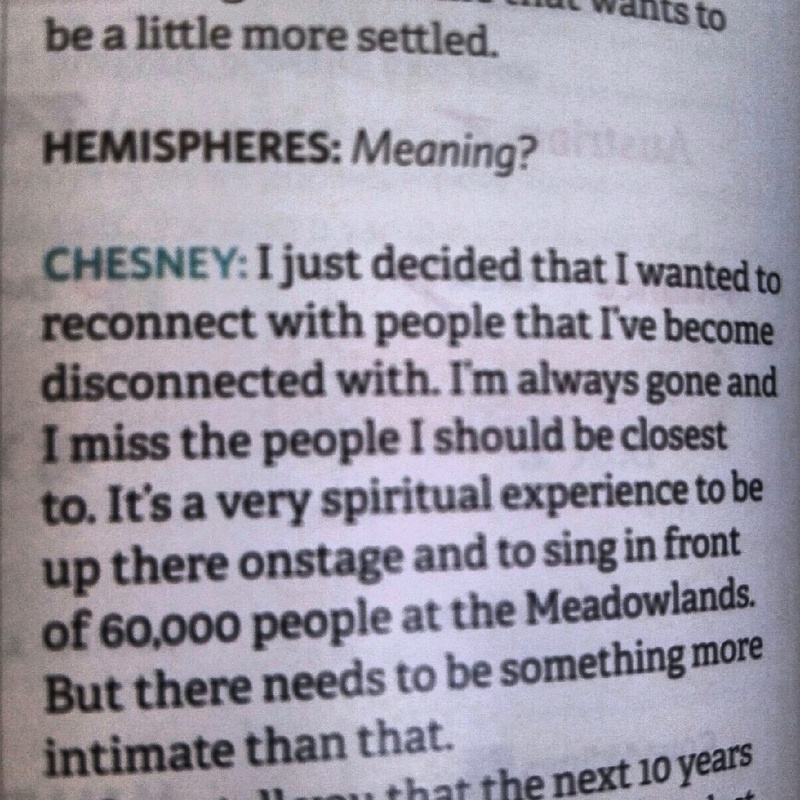 I snapped three pictures from the interview to share with you because it was these quotes from Chesney that got me thinking differently about his live show. 3) how he seeks intimacy with his fan and is transitioning to the next phase of his touring career. And as I was soaring back to Chicago at 30,000 feet I gazed out the window and thought about our Johnny Cash, Taylor Swift, Keith Urban, Lady Gaga and Wilco experiments. 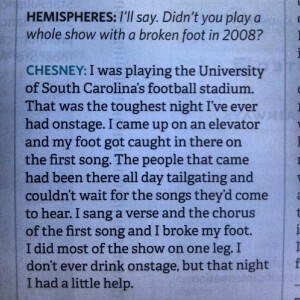 How does Chesney compare to those artists? 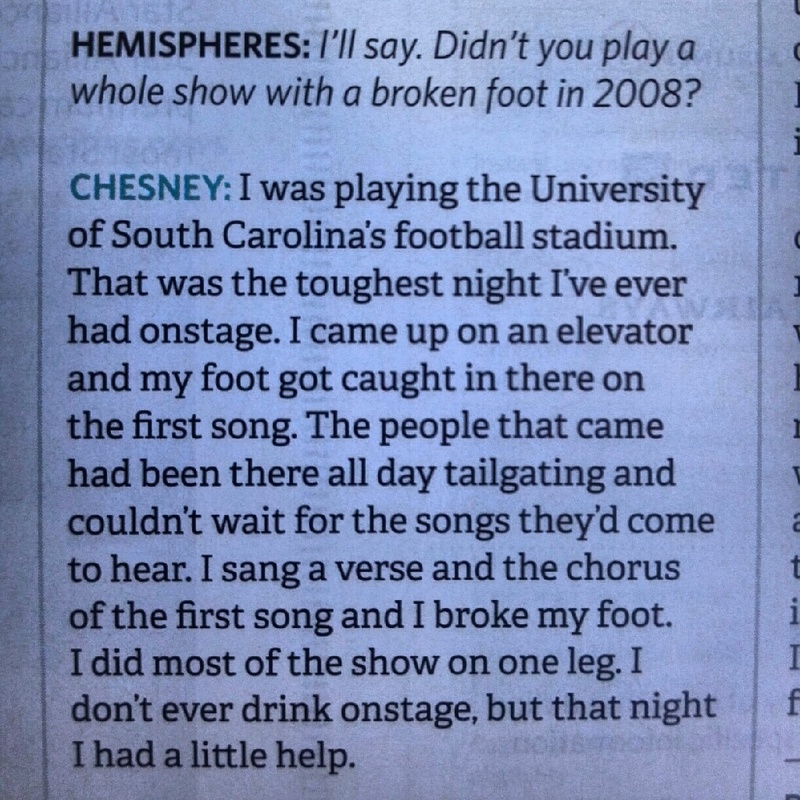 And if I was flying on Southwest instead of United maybe Chesney would have done a secret show like Mat Kearney did. 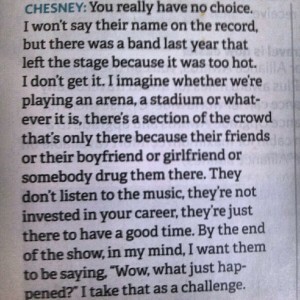 Check out Chesney’s quotes and let me know what you think. Chesney fans, tell us about your favorite favorite concert moments and we’ll share them on a future episode of Live Fix Radio.